JAYME McGHAN  30ish. A playwright, teacher, director, designer, and genial man-about-town. A VISITOR  An anonymous web site visitor, can be male or female. A glowing light eminates from a monitor. 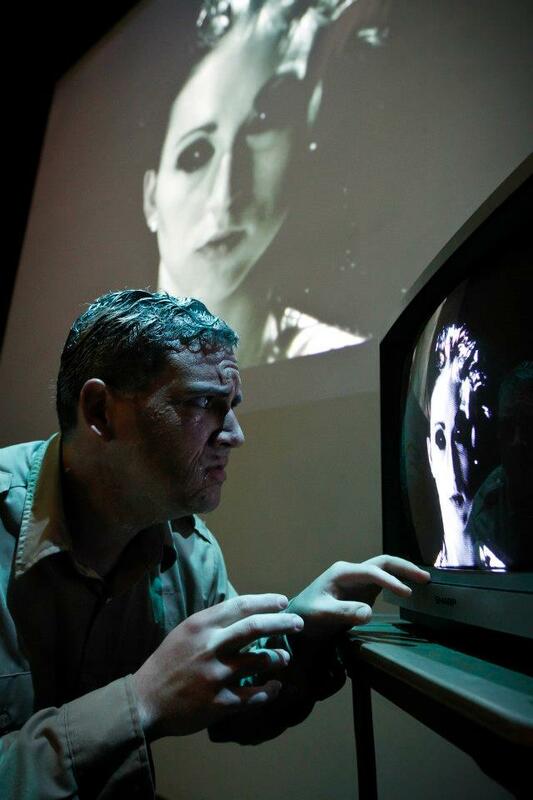 The visitor chooses the focus and tempo of the play, and communicates with Jayme by clicking the "Contact" links and typing text, which is also displayed on the screen. ACT II: The visitor learns. ACT III: The visitor responds and explores. 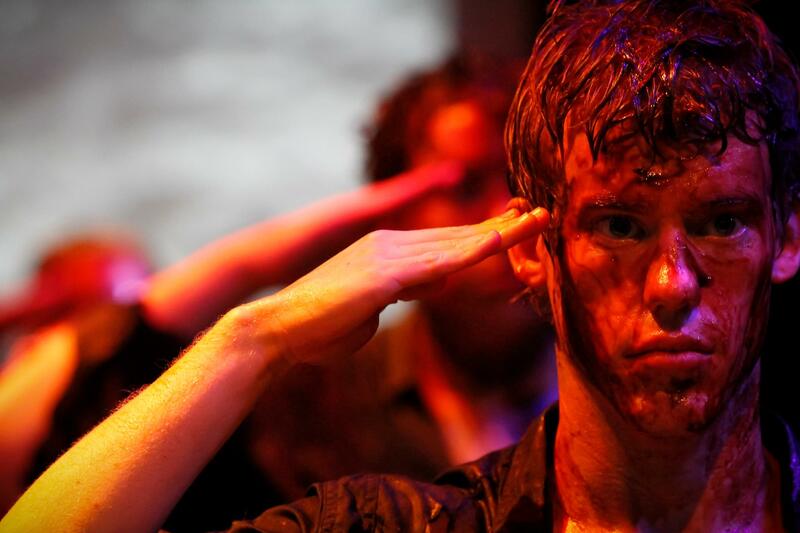 Saltbox Theatre Collective's production of "In the Soundless Awe" will be re-mounted in Indianapolis at the annual U.S.S. Indianapolis survivors reunion and National gathering. "Still Dance the Stars" will be produced at Cockroach Theatre in Las Vegas. "Still Dance the Stars" will be produced at Yellow Tree Theatre in Minnesota. "Life in a Sandcastle" will be given an educational production at Concordia University, Chicago. "Life in a Sandcastle" will have an equity reading at Chicago Dramatists. NYC's New Light Theatre Project and Chicago Dramatists will produce "Still Dance the Stars" as a co-production in Chicago. Saltbox Theatre Collective will produce the Chicago premiere of "In the Soundless Awe", co-authored by Jayme McGhan and Andy Pederson. The production will run from June to July, 2017 at Prop Theatre. "Still Dance the Stars" will be workshopped with New Light Theatre Project (NYC) in February. Western Carolina University will produce "In the Soundless Awe", co-authored by Jayme McGhan and Andy Pederson in November, 2016. Jayme's play RED ROCK will receive a reading with NYC's New Light Theatre Project. Yellow Tree Theatre in the Twin Cities will be producing an equity staged reading of Jayme's newest play "Hope the Hippo Battle Dances Captain Lame-O and Finds Her Place Amongst the Stars" on Sunday, September 20th. The play is a serio-comedy-fantasy with break-dancing stuffed animals. Visit www.yellowtreetheatre.com for more information. Jayme has accepted the position of Director of the School of Stage and Screen at Western Carolina University in North Carolina. He will be facilitating the continued growth of the already revered Film, Theatre, Musical Theatre, and Dance programs at WCU. Jayme's newest play, RED ROCK, will receive an equity staged reading at Chicago Dramatists on Saturday, September 20 at 2:00 PM. The reading will be directed by Associate Artistic Director Rachel Edwards-Harvith and will feature the likes of Jason Narvy (of Mighty Morphin Power Rangers fame) and Colin Wasmund. Jayme received a travel grant to spend time in Ireland researching the lives and works of W.B. Yeats and Oscar Wilde for his upcoming comedy "YEATS GONNE WILDE", co-written with Andy Pederson. 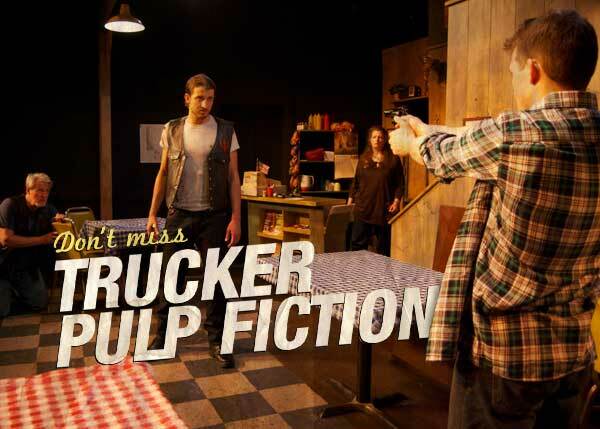 The play was commissioned by Concordia University, Chicago and will be produced in the 2014-2015 season. Jayme will be taking over as the Artistic Director of the Theatre Program at Concordia University, Chicago for the 2014/2015 Academic Year. Jayme and his lovely wife Julie welcomed their son, Levi Scott McGhan, in to the world on February 25th. They are in love. Jayme's short play "Fry Side" was produced by New Light Theatre Project in NYC. "Autonomy" was chosen for a public reading at Wordsmyth Theatre in Houston on May 13, 2013. 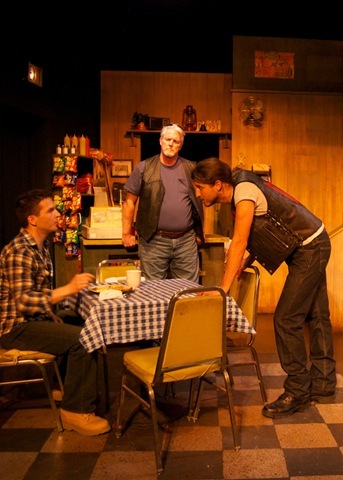 "The Fisherman" was nominated for the American Theatre Critics Association Steinberg New Play Award. Six Finalists will be announced in March and the winners will be presented at the Humana Festival at the Actors Theatre of Louisville. Concordia University, Chicago's production of "In the Soundless Awe" was invited to be performed at the Kennedy Center American College Theatre Festival Region 3 Festival in January and was nominated for the David Mark Cohen Award. Jayme's play "Damn the River Deep" (formerly "Ragtown") will receive a staged-reading at Chicago Dramatists on November 17th, 2012. Rachel Edwards Harvith will direct. "In the Soundless Awe", a play Jayme co-wrote with playwright Andy Pederson, will receive it's premiere at Concordia University, Chicago. "In the Soundless Awe" is a highly-theatrical take on the final nightmare of Charles Butler McVay III, Captain of the infamous USS Indianapolis, before he kills himself on November 6, 1968. Jayme will also direct. Jayme's newest play, "Autonomy" will receive a staged reading at Chicago Dramatists on March 17th, 2012 at 2:00 PM. The reading will be directed by Vance Smith, Artistic Director of Stage Left Theatre. 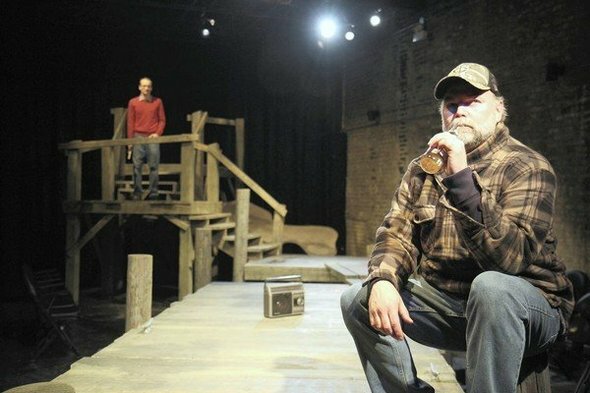 Dates announced for Stage Left's production of "The Fisherman" at Theatre Wit in Chicago! Previews begin on February 18th. The show opens on Saturday, February 25th. 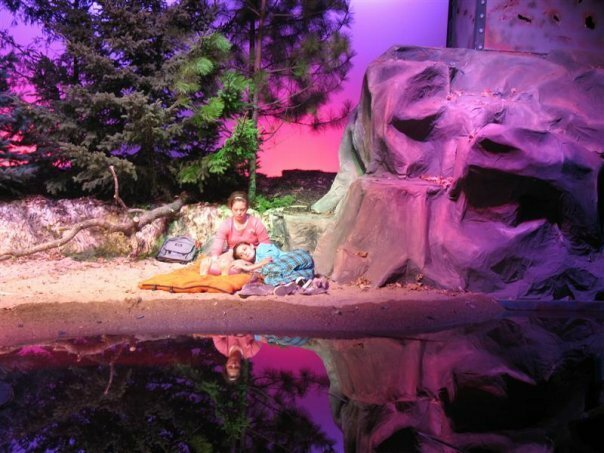 "The Fisherman" runs Thursdays, Fridays, and Saturdays at 7:30 PM and Sundays at 3 PM. The shows's director, Drew Martin, who has been with Stage Left since its inception 30 years ago says that it's "the most politically and socially timely play that Stage Left has ever done." Go see what he's talking about. 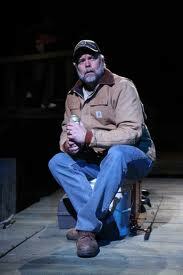 Stage Left Theatre in Chicago will produce the world-premiere of "The Fisherman" in their 2011-2012 season. 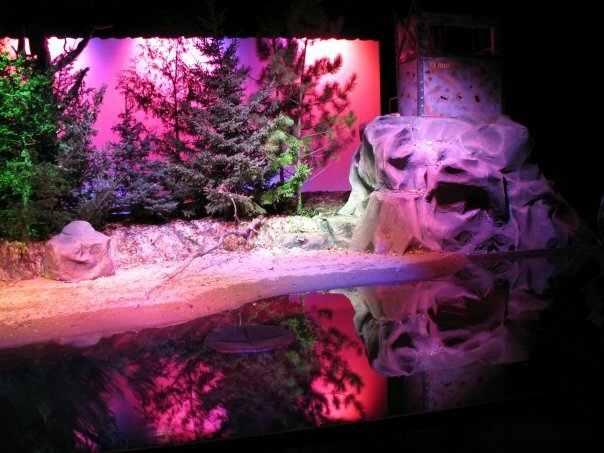 The production will be at Theatre Wit in the Spring of 2012. More details to follow. 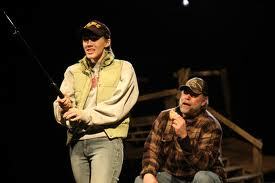 "The Fisherman" has been selected to be a a part of The Great Plains Theatre Conference in Omaha in early June. Jayme will be Technical Directing Stage Left Theatre's production of "An Enemy of the People" by Arthur Miller, adapted from Henrik Ibsen. 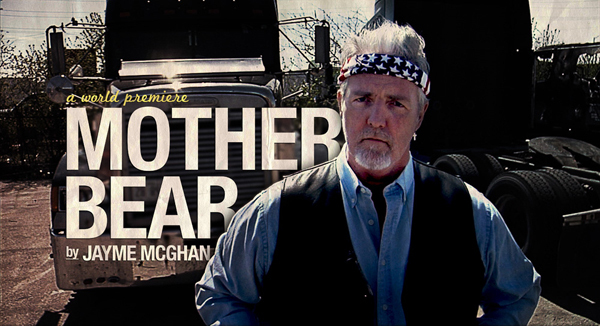 The show opens in March at the Theatre Wit building in Chicago. 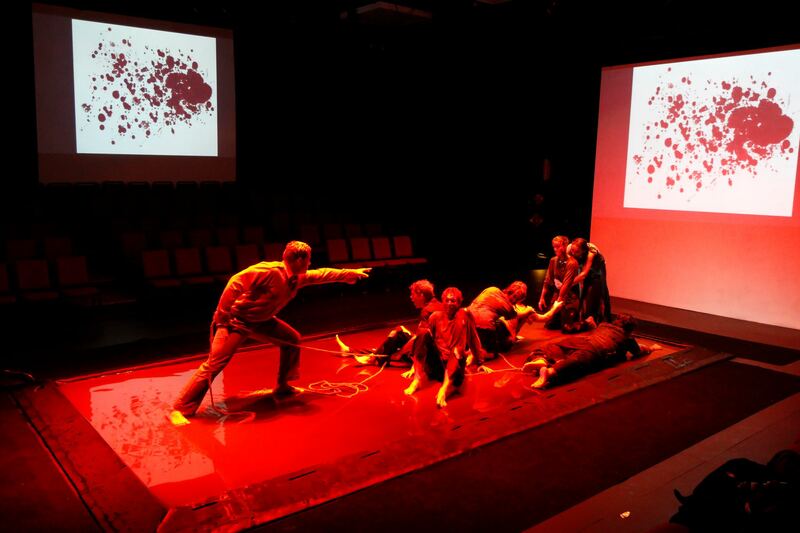 Concordia University, Chicago will produce Hellfire as part of their 2010-2011 season. 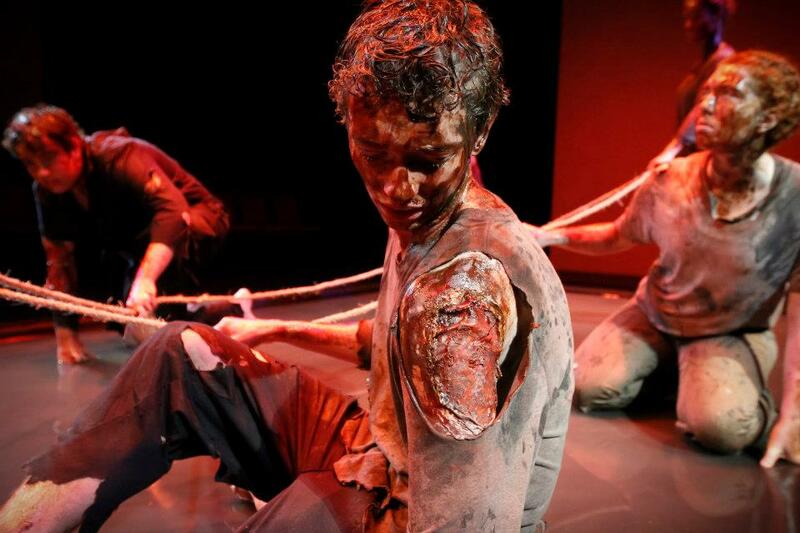 This marks the first time Concordia will premiere a new full-length play. 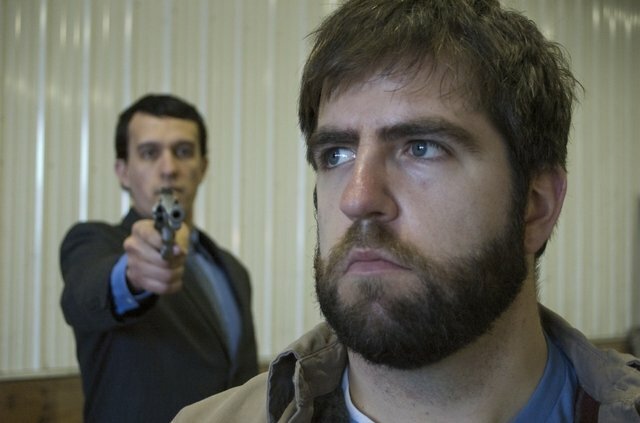 Mother Bear has been optioned by Decapolis Films as a feature length to be shot in the fall of 2011. Mother Bear received a workshop production in Stage Left Theatre's LeapFest 2010. The play's three week run in Chicago was warmly received. Vance Smith, Artistic Director of Stage Left, directed the show. 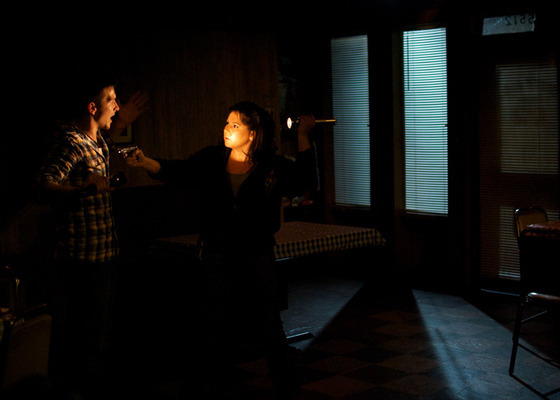 Mother Bear was performed in NC at Southern Appalachian Repertory Theatre's 2010 ScriptFest. Mother Bear will receive a reading at National Pastime Theatre in Chicago IL. Mother Bear was performed at Hot City Theatre in St. Louis MO as part of the GreenHouse Festival of New Plays. The Fisherman (10 Minute Version) was published in Gary Garrison's A More Perfect Ten. Focus Publishing. Jayme was hired as an Assistant Professor of Theatre at Concordia University, Chicago. 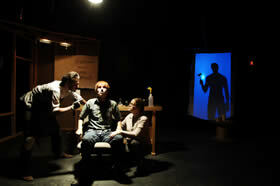 Jayme's play Crimson Lake received a successful world-premiere production at Ridgewater College. Jayme McGhan is a playwright, theatre artist, and educator from Minneapolis, now living in the Great Smoky Mountains of North Carolina. 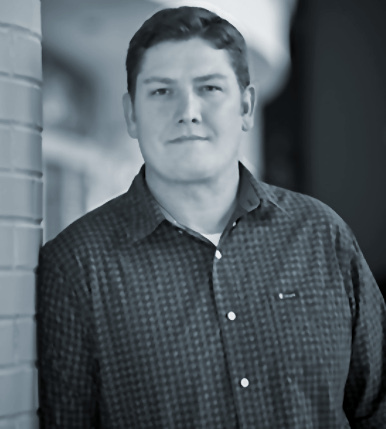 After graduating with a bachelors in Theatre from Southwest (Minnesota) State University, Jayme attended the University of Nevada, Las Vegas where he received an MFA in Playwriting. After UNLV, Jayme moved back to Minnesota where he taught theatre for three years at Ridgewater College. While in Minnesota, he also served as the Regional Representative of The Dramatists Guild to the Twin Cities and surrounding area. Jayme was blessed to marry his wife Julie in June of 2009. Soon after they moved to Chicago where Jayme served as an Associate Professor and Artistic Director of the highly innovative theatre program at Concordia University, Chicago and also worked as a freelance theatre artist. He remains a Resident Playwright at Chicago Dramatists and an Associate Artist at Stage Left Theatre. In 2015, Jayme, Julie, and their little boy Levi, moved to Cullowhee, NC, an hour west of Asheville. Jayme now serves as the Director of the School of Stage and Screen at Western Carolina University, overseeing the Theatre, Musical Theatre, Film and Television Production, Entertainment Design and Technology, and Dance programs. Jayme's plays have been produced and developed across the country at such theatres as Irish Repertory Theatre, Washington Shakespeare Company, The Kennedy Center, Chicago Dramatists, Stage Left Theatre, Mortar Theatre, Hot City Theatre, Wordsmyth Theatre, New Light Theatre Project, Nevada Conservatory Theatre, Cockroach Theatre, Yellow Tree Theatre, Chased By an Elephant, Southern Appalachian Rep, and many more. Four of those plays are published. When not working in the theatre, Jayme is an avid backpacker, runner, snowboarder, skateboarder, music lover, beer connoisseur, reader, poker player, amateur theologian, and die-hard Minnesota Twins fan. He is also very active in his church family and thanks God every day to be doing what he loves. Click on a title to display information about the play at right. Click on a photo to magnify. Chased By An Elephant Theatre Co.